The solo exhibition 'Earthquake Monument' by Henk Stallinga was held at the monumental Der Aa- Church in Groningen (NL) in the summer of 2015. Due to current events in Groningen -minor earthquakes caused by gas extraction- the city was a suitable location for Stallinga's most recent works, 'Earthquake Monument' and 'Politics and Attitudes', which were exhibited for the first time. 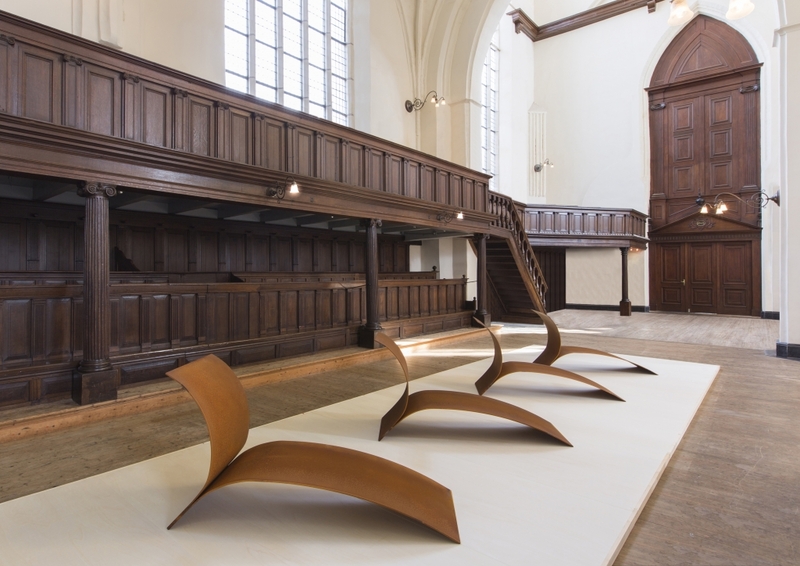 Other recent installations and sculptures, such as Chain Reaction, A Couch to Match the Painting and Lounge Chairs, were also exhibited at this spectacular medieval location in the historic centre of Groningen. All works exhibited are part of a solo exhibition by Stallinga that will be held in Japan.